Beavers live in Stanley Park in both Lost Lagoon and Beaver Lake. From an ecosystem perspective, beavers play an important role in enhancing water filtration and increasing local biodiversity by creating wetlands in which to live. While the presence of beavers in the Park helps sustain biodiversity, their natural activities also change the landscape we all share. These industrious mustelids live up to the expression “busy as a beaver” that was long ago coined in their honour, and can provide Park visitors with very enjoyable wildlife sighting opportunities. However, what keeps them so busy is their strong drive to harvest trees and shrubs not only for forage, but for the maintenance of the dams they construct to create their wetland habitat. It is this insatiable desire to stop flowing water that causes them to dam up the outflows of both Lost Lagoon and Beaver Lake which leads to trail damage and the loss of attractive trees that lend to the charm of the landscape. Keeping up with the beaver is a going concern. 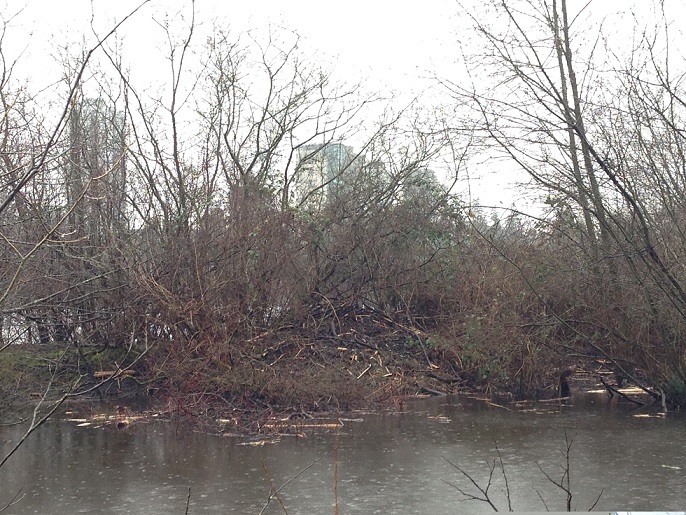 In February of this year, Park Board staff removed two thirds of the beaver dam constructed at the outflow of Beaver Lake as well as blockages to the outflow of Lost Lagoon’s main outflow and bio-filtration pond (located in the north east section of Lost Lagoon), in an effort to prevent further flooding of associated trails and other Park infrastructure. SPES has been doing its part by installing signs and wire mesh wrap around veteran trees, while leaving some trees and shrubs as food supply for the beavers. Beavers are part of the native wildlife and ecosystem of Stanley Park. We’re working to limit damages to vegetation while supporting this iconic Canadian species. 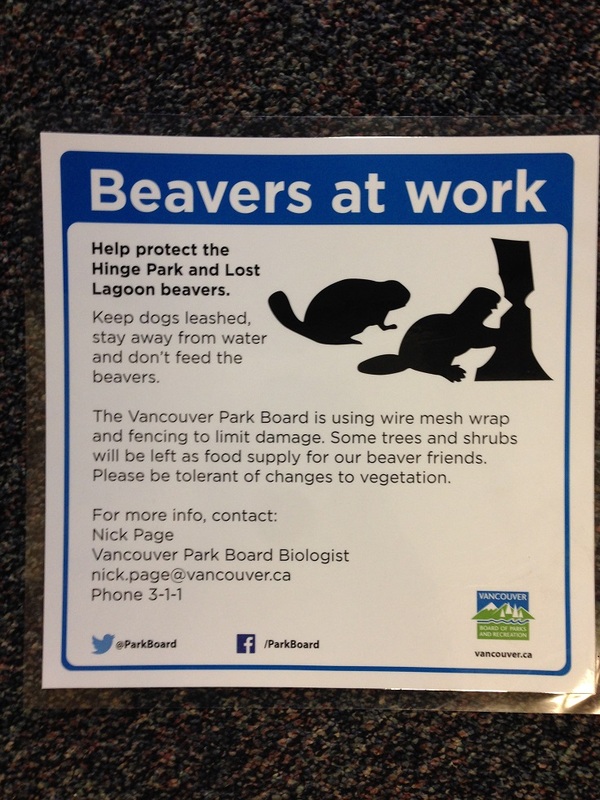 You can help: Please remember to keep dogs leashed in the Park and don’t feed the beavers. SPES’ beaver monitoring and management program is made possible by support from HSBC Freshwater Initiatives in Stanley Park.